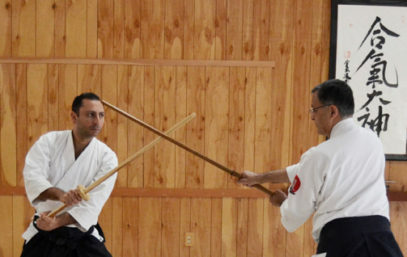 George Ledyard Sensei, Aikido 7th Dan and Chetan Prakash, Aikido 6th Dan combined their efforts to do a 4-day Aikido sword intensive and produce this Aikido sword video. 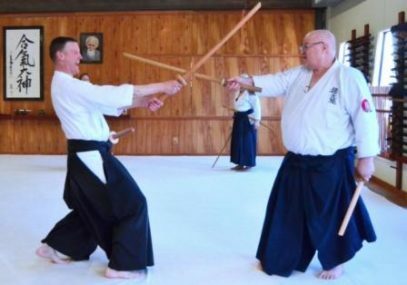 These two teachers have a combined 70 years of close association with Mitsugi Saotome Shihan. 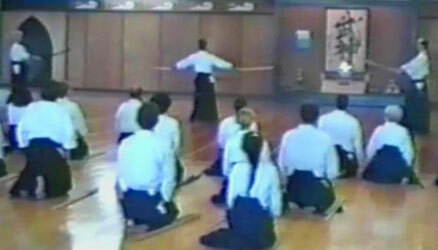 Title content ranges from instruction on the elements contained in Saotome Shihan’s 12 Kumitachi (paired sword forms) covering timing spacing, posture, and many other basics all the way to detailed instruction on Saotome Sensei’s most advanced sword work contained in his Kasumi forms(deceptive blade). Substantial work on Saotome Sensei’s Two Sword forms along with sword vs jo forms is included. The content contained here should appeal to Aikido students of all levels, especially instructors wishing to up their game on teaching their students sword. 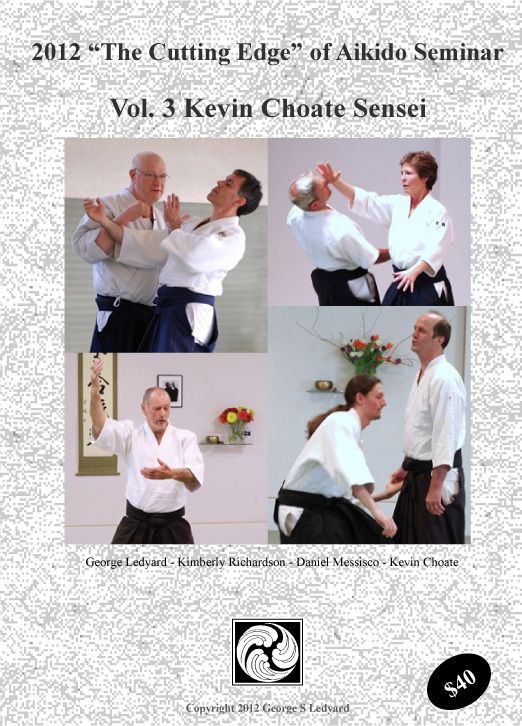 The set contains over five hours on instruction and should provide months of practice time to work through. 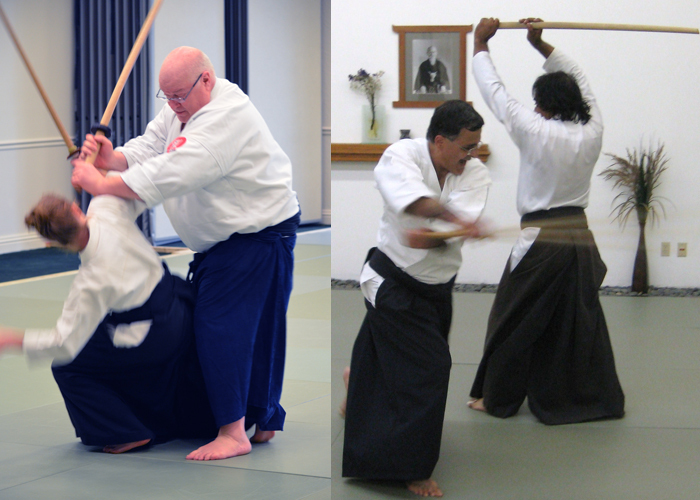 This set of Aikido video clips comes in three choices of resolution or files sizes. The HiDef clips are designed to look sharp when played on a big screen TV and are quite massive. For those who watch their content on their PCs, laptops, and tablets, there is a Medium Portable choice. And for those who want smaller resolution / file size for phones etc, there is an XSm size which is basically a quarter screen size. As usual, we strongly recommend using a download manager as described on the home page, especially if you are attempting to download the HiDef files which can be 10 GB – 12 GB depending on length.